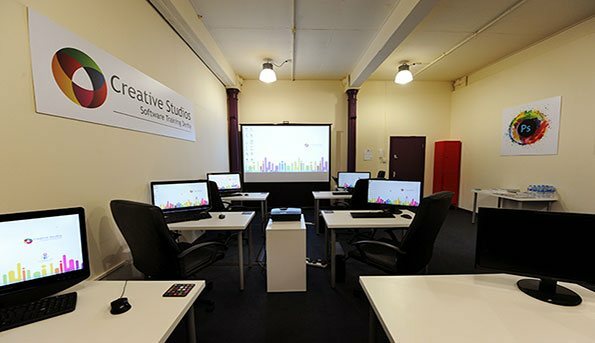 At the Creative Studios in Derby we specialise in delivering Adobe training in Adobe Photoshop, Illustrator and InDesign, we are centrally located in the East Midlands near to Nottingham, Leicester and Birmingham. All of our courses are delivered by time served industry professionals with over 10 years experience Adobe training in Adobe Photoshop, Adobe Illustrator and Adobe InDesign. Our Adobe training courses are delivered in a very relaxed environment and we take pride in the consistently high quality feedback from all of our delegates. Based in Derby city centre we are easily accessible from anywhere in the country, we are 15 miles from Nottingham, 40 minutes from Leicester and 50 minutes from Birmingham. Under a mile from Derby train station and a 10 minute drive from junction 25 of the M1, FREE car parking spaces are available on-site for all delegates who attend our Adobe training courses.